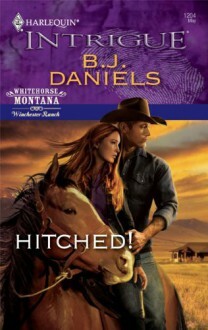 Following a trail of secrets back to his family ranch, Jack Winchester needed a cover to solve a decades-old mystery. And Josey Smith offered him the perfect one—if she would agree to pose as his wife for a week. The gorgeous redhead was up to her neck in trouble, and Jack protected what was his, pretend marriage or not.On the run from a killer, Josey had no choice but to accept Jack's proposal. She no longer trusted herself to tell the good guys from the bad, but the handsome, blue-eyed cowboy made her feel safe. Yet it soon became apparent that the sparks that flew between them were anything but fake, and the danger they faced was all too real….